0.5 Fl. Oz. all natural grapefruit air freshener. Eliminate odors naturally. Contains pure extract from fresh wholesome grapefruit. 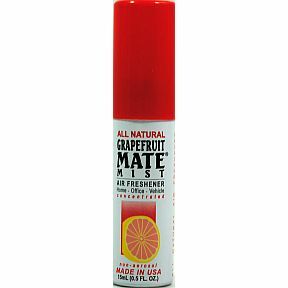 Grapefruit-Mate Mist is pure concentrate. Home-Office-Vehicle. Non-aerosol. Made in the U.S.A.